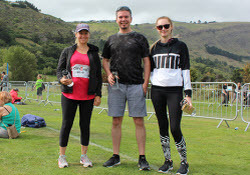 Congratulations to everyone who took part in the 2018 City2Surf annual walk/run on Sunday 18 March. Pegasus Health once again ‘walked the talk’ and entered a team of 145. The team included general practitioners, practice nurses and administrators from the Pegasus network, as well as 24 Hour Surgery and Pegasus support services staff. Pegasus Health Chief Executive Vince Barry said we encourage our staff and general practice teams to enter the City2Surf because it’s good for their health and mental wellbeing. It’s also a great opportunity for them to socialise and meet other people working in health from across Canterbury. It is also a great opportunity for our Pegasus support staff and practice teams to socialise together away from the busy world of general practice.